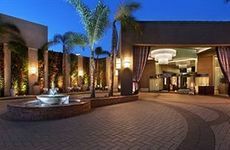 Find Avenue of the Arts Costa Mesa, a Tribute Portfolio Hotel deals, discounts and special offers. This smoke-free Wyndham features 238 guestrooms, casual dining, outdoor heated pool. Featuring ocean views, Marriott Suites includes a refreshing pool as well as fine dining at Hemingway's. Hilton includes 486 spacious guestrooms, fitness center, heated pool, in-room spa services and casual dining. Newly renovated smoke-free Westin features 393 rooms w flat screen TV, heated pool; walk to theaters. The charm of a French Provincial - inspired inn, the gracious accommodations of a European boutique-style hotel. The Energy Star labeled hotel is location within fair distance from Disneyland and Knott's Berry Farm. Points of interest located near the hotel include Orange County Fairgrounds, UC Irvine, Balboa, and Disneyland. Set just off of the Pacific Coast Highway, the Ramada Inn Costa Mesa features an outdoor pool and free internet access.